Baar, Switzerland and VeeamON, New Orleans – May 16, 2017: According to new research, 69 percent of enterprises feel that Availability is a requirement for Digital Transformation. To deliver on these needs, Veeam® Software, the innovative provider of solutions that deliver Availability for the Always-On Enterprise™, today unveiled several partner-centric initiatives and offerings to help them drive revenue growth and leverage business opportunities as customers move to a Multi-Cloud or Hybrid Cloud environment. Increase Professional Services Revenue and customer satisfaction with the NEW Veeam Accredited Service Provider program. 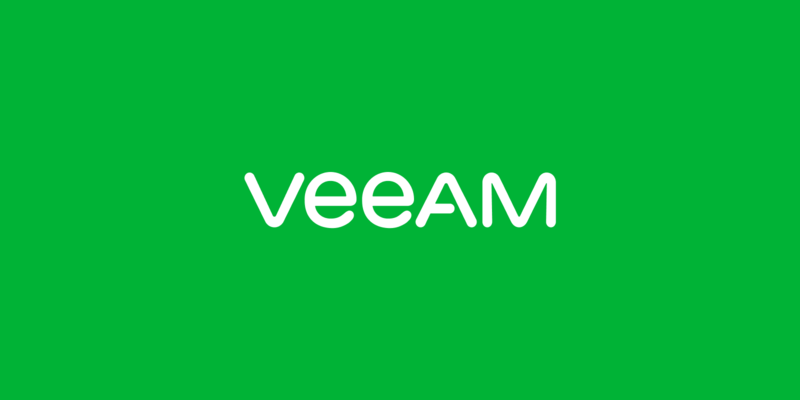 “Veeam is dedicated to enabling its ecosystem of ProPartners and Veeam Cloud and Service Provider partners (VCSPs) to help customers move and manage data in a Multi-Cloud environment. At VeeamON 2017, we are announcing a slew of new offerings and programs that will drive even greater partner services revenue and engagement,” said Peter McKay, co-CEO and President at Veeam. Today, Veeam has the largest network of channel partners who deliver Veeam-powered solutions for cloud data management and protection, including 47,000 Veeam ProPartners and 15,000 VCSPs offering backup and disaster recovery services, including 2,900 partners who use Veeam Cloud Connect to offer backup and disaster recovery in the Cloud. “Veeam has always been a 100 percent channel company. With these new solutions, Veeam is strengthening its leadership position in the Backup as a Service (BaaS) and DRaaS market and extends its 100 percent channel strategy from resellers to service providers,” McKay added. As the adoption of cloud computing across organizations of all sizes grows, the ability to efficiently deliver, manage and monitor Availability infrastructure can be difficult. The new Veeam Availability Console – planned to be generally available in Q3 with its Release Candidate build launched at VeeamON 2017 this week – delivers everything a service provider or distributed enterprise needs to deploy, manage and monitor Veeam-powered Availability services — no matter where the protected workloads are hosted. Veeam’s partners can add value by provisioning and managing customers’ virtual, physical and cloud-based Veeam Availability services, and generate new revenue streams by offering BaaS and DRaaS services alongside their traditional resale business lines. Veeam CDP (continuous data protection) empowers service providers to help customers to protect and recover Tier-1 applications during a disaster, opening substantial revenue-generating services for VCSPs by using Veeam Cloud Connect. Veeam Cloud Connect uses vSphere APIs for I/O Filtering (VAIO) to offer continuous replication to private or managed clouds. vCloud Director integration for Veeam Cloud Connect Replication, enabling partners to reduce daily management and maintenance cost, and simplify multi-tenant configuration by using vCloud organizations for DRaaS. Tape as a Service (TaaS) for Veeam Cloud Connect Backups enables service providers to deliver an additional “tape out” service to help tenants meet compliance requirements for archival and long-term retention, have air-gapped backups to protect against ransomware or insider threat, and provide an additional layer of disaster recovery protection in case of complete storage loss. Automation possibilities via RESTful API and PowerShell SDK to minimize management overhead, improve recovery times and reduce costs. The Veeam Cloud and Service Provider Directory is a FREE online platform where Veeam customers and partners can find a cloud and service provider in their area who offers hosted services using Veeam products. The directory provides complete visibility and direct connections that can fuel revenue growth. The new Veeam Accredited Service Partner (VASP) program enables its members to deliver high-quality professional services related to Veeam solutions and help customers realize increased reliability, along with greater value and return of investment of their investments in Veeam to architect, deploy and manage Veeam solutions. Co-branding and marketing – VASPs will have documentation to answer RFPs, logos and banners for promotions and online marketing. Today’s news follows Veeam’s initiative, announced in February 2017, to give away up to $200 million through an exclusive Veeam FREE Cloud Services program. Every customer using Veeam for on-premises backup and recovery is now eligible for up to $1,000 in free cloud backup and DRaaS from Veeam and its partners. The full range of Veeam new products and solutions will be announced in New Orleans tomorrow at VeeamON, the world’s premier availability event. A recap of today’s VeeamON news is available at https://www.veeam.com/blog/day-1-highlights-veeamon-2017-partner-day.html.